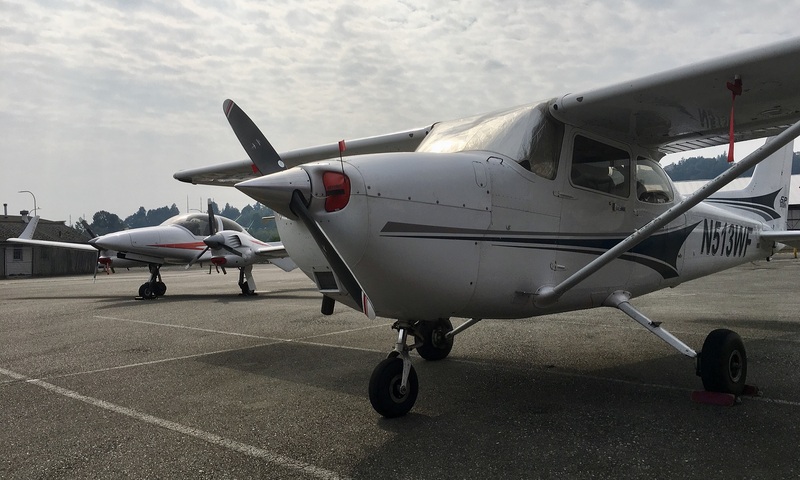 You’re looking at a 2004 Cessna 172 SP (originally Nav II) updated to TAA standards in early 2018. Its hybrid mix of traditional round dial training cockpit layout and PFD/MFD/AP (primary flight display, multifunction display and autopilot) make it a very flexible plane for primary flight training, transitioning from traditional “steam” to advanced “glass” cockpits, and X/C (cross-country) flights – both VFR and IFR. The plane is operated by Galvin Flying at Boeing Field (KBFI), a class D airport near SeaTac, the international airport of Seattle, WA. Use the dropdown menu above to explore this aircraft!